Introduced at the same time as the Ghibli, the Mexico demonstrated Maserati’s more normal, traditional approach to GT cars. 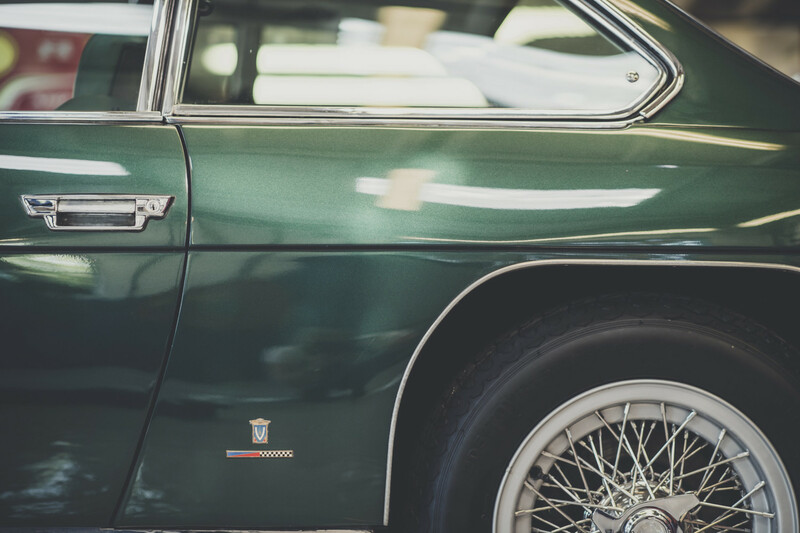 It was a car for the cognoscenti and sold steadily between 1966 and 1972. It was named in honour of the President of Mexico, who was a valued client. This is the first Mexico in right-hand drive and when new featured on the Maserati stand at the London Motor Show at Earls Court in 1968. 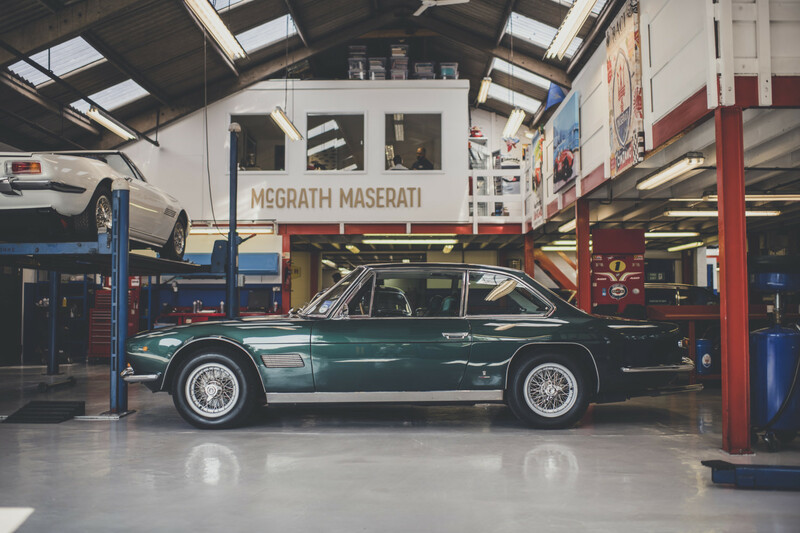 After many years in a private collection in the north of England, it was acquired by the current owner in 2007, who commissioned a restoration by McGrath. This was a running, driving car on arrival but the body was very tired. A complete stripdown to bare-metal revealed substantial corrosion in the inner structure of the car that the decision was made to remove the entire rear section of body in order to repair properly what lay beneath. 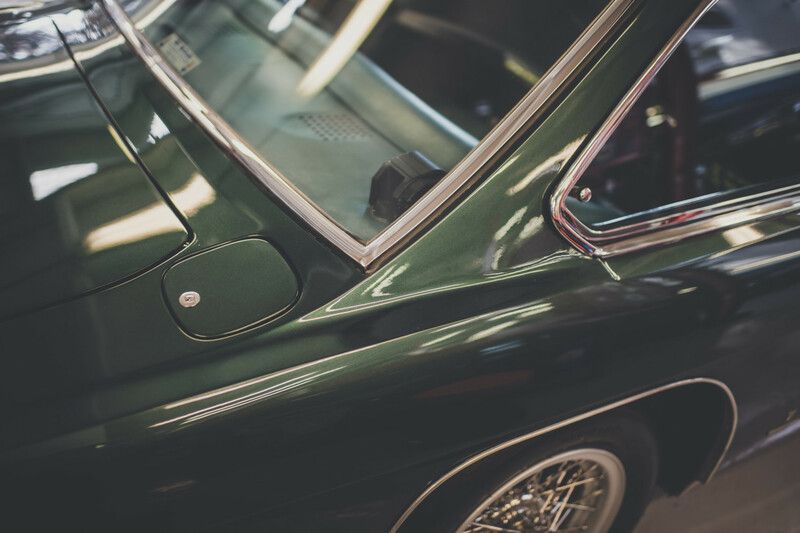 Following all these repairs, the shell was repainted in its original Verde di Bosco (forest green). 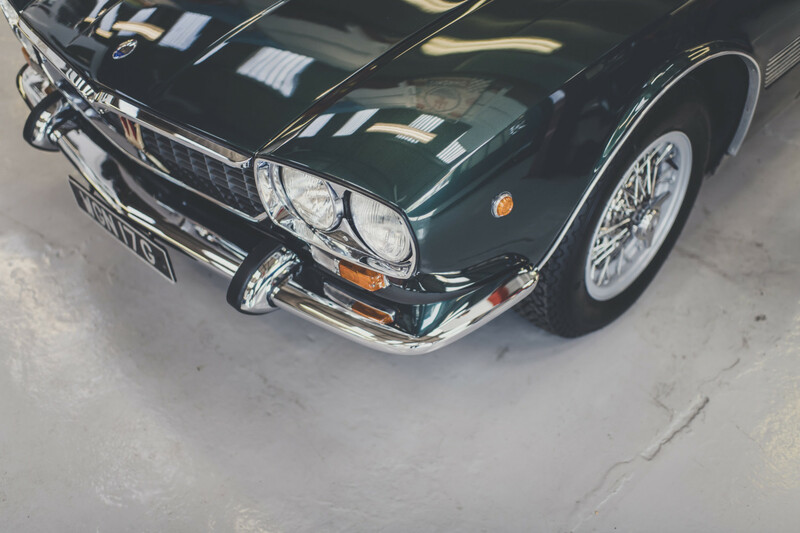 Mechanically, there were notes in the history that this car had been driven by the previous owner back to Italy to the Maserati Factory in the late 1970s for an engine rebuild (those were the days) but after 30 years of little subsequent activity, another rebuild was necessary. The intervening mileage was only a few thousand. 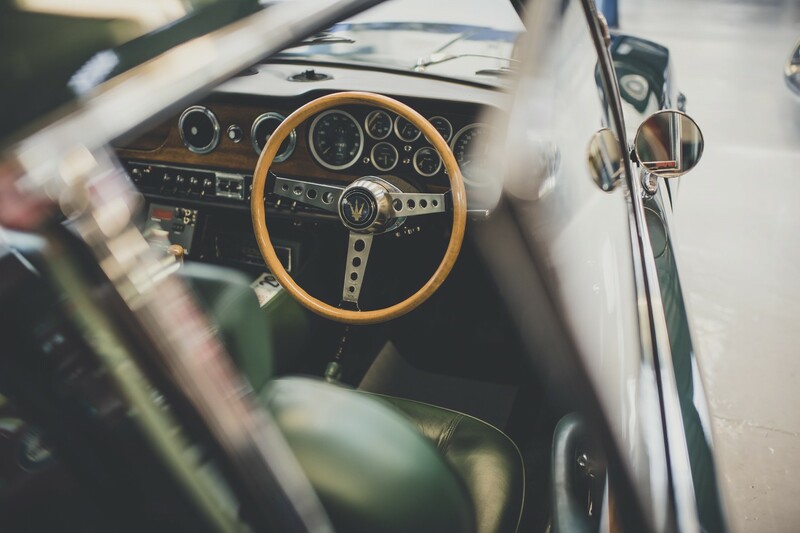 The interior of the car, like the exterior, was originally green, perhaps specified by Maserati to appeal to a British audience at the Motor Show. It had survived remarkably well. Small repairs took place and the moth-eaten carpets renewed but otherwise it was cleaned and fed with copious amounts of hide food. 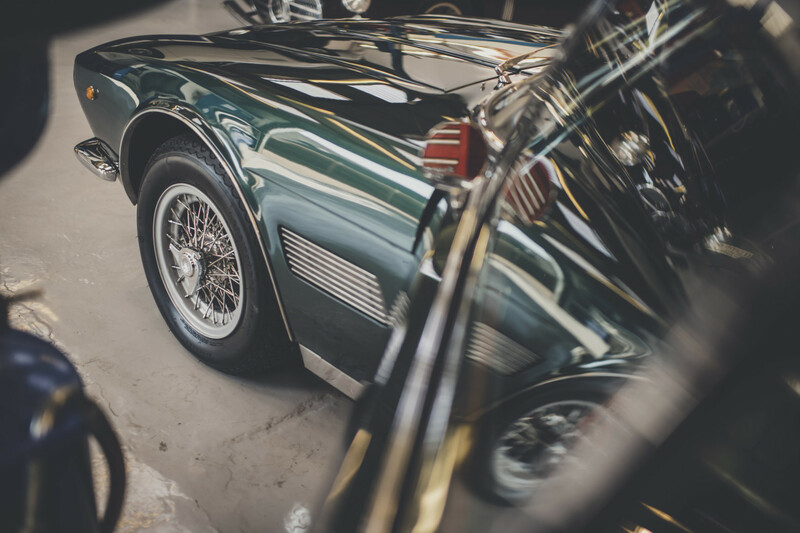 Once completed, the car was immediately pressed into use on Club events and at Concours, where it was of course a great success. However, being an early example, it had the early, more basic seats and lacked the power assisted steering that was offered later. 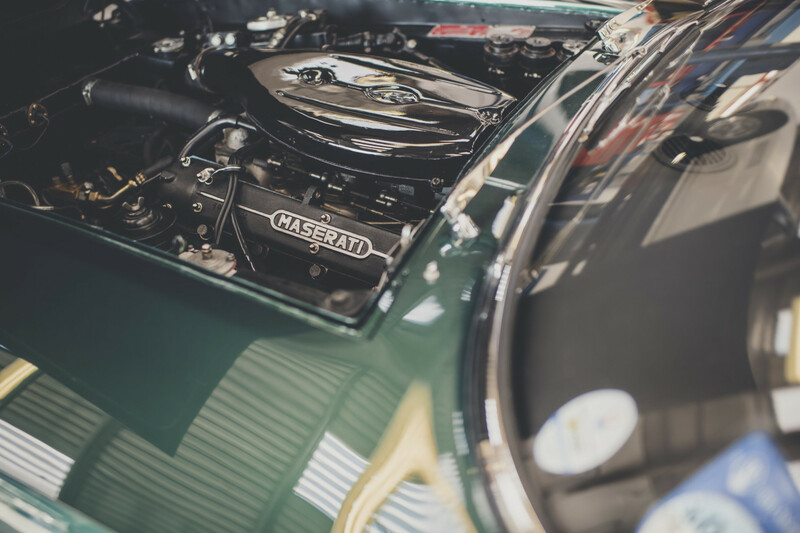 Having acquired for the owner some later seats and a kit of parts to retro-fit the ZF power steering system that Maserati would have fitted, the car returned for another round of work. 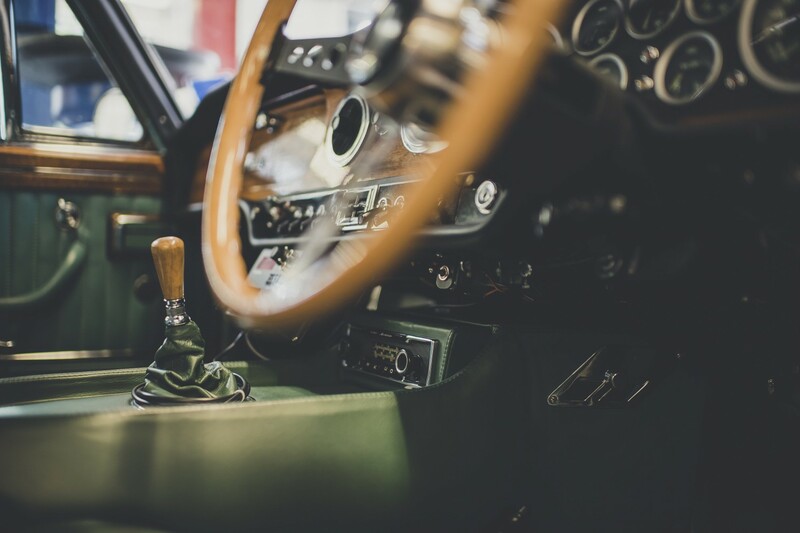 While wishing to retain as much original leather as possible, the replacement front seats had to be trimmed and the leather for this was coloured specially by McGrath, based on a sample of the original. Now that the ‘new’ seats have acquired some patina of their own, it is difficult to notice the difference. Having now covered more miles since restoration than it covered before, this Mexico still drives well and looks fabulous. Oval tube steel chassis, Double wishbone front suspension and semi elliptic rear. All steel coupe body, built by Vignale, designed by Giovanni Michelotti. 1 of 6 right hand drive cars from total run of 485.